BACK ON THE MARKET!!! This gem of a one level ranch home is a rare find. Kept in perfect condition. 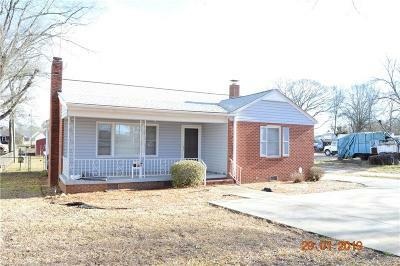 The house boasts 4 spacious bedrooms, 2 full bathrooms, hardwoods throughout, a large kitchen and a large laundry/mud room. The large back yard is fenced in and has a huge 24 x 24 garage w/ electrical connections that is perfect to park your car or use as a work space. Schedule your showing today!